Microsoft has been awarded a patent for a new type of augmented reality controller that looks like a cross between a Wiimote and a pen. The wand-like input device features a trigger mechanism, some sort of slider button and a rounded button along its length, as well as a finger guard. 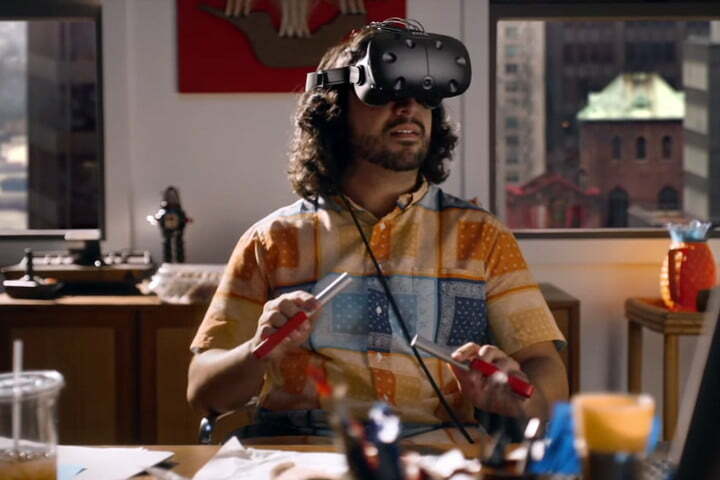 HTC, Valve and Oculus VR might be at the forefront of developing new input mechanisms for virtual reality, but controlling augmented reality might be quite different. If Microsoft’s newly awarded patent (via @h0x0d) is anything to go by, it certainly seems to think so. Originally filed at the start of June 2016, Microsoft’s “augmented reality input device,” looks quite similar to the Google Draw pen for Google Glass. 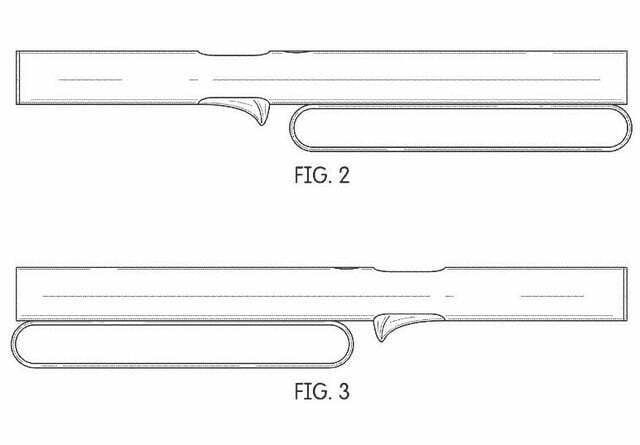 That appears to be a major inspiration for the creation of Microsoft’s tool, too, as it’s mentioned within the patent text. However, the way this device operates may be quite different to Google’s pen. 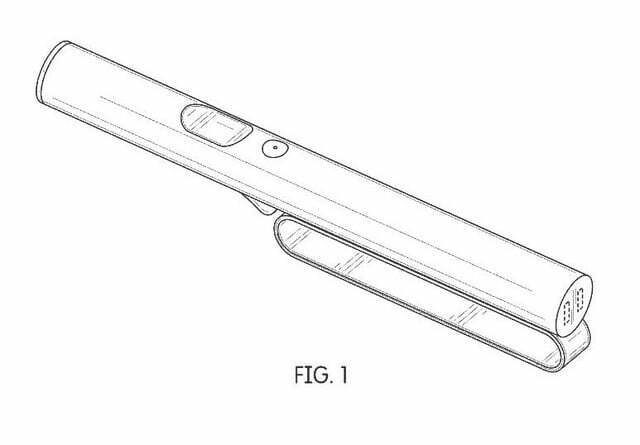 In a video dug up by Twitter user @ben3094, and released on the same date as the original patent filing, we see what looks very much like the Microsoft AR input device. It’s not held as you might expect it to be. Regardless of hand position though, the controllers allow for a trigger and thumb-slide interaction. It seems likely that, depending on the game or application being interacted with, the user may be able to hold it in different configurations for different input methods. In the above video, we even see the user put one of them down momentarily to allow for more detailed hand-interactions in the digital world. In the images within the patent itself, we can also see what looks like charging contact points at the base of the input device. 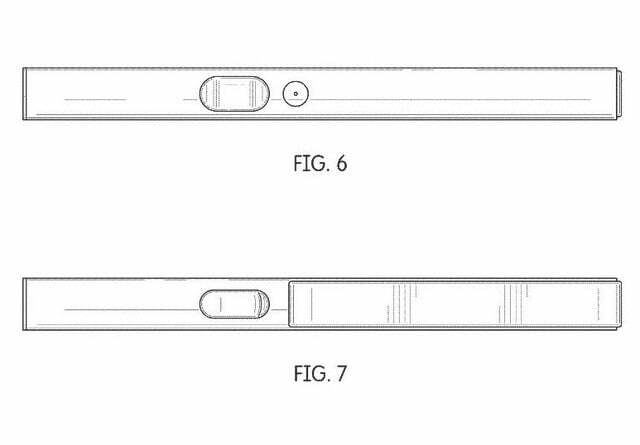 That would suggest some sort of docking system for charging, though there are no hard details in the patent itself about that aspect of its operation. Microsoft’s big augmented reality strategy is still unclear, but it does seem to be looking to replace the entire computing environment with new display technology and input mechanisms. Perhaps it will be the next big technology that will have us leave our traditional keyboard and mice setups behind.